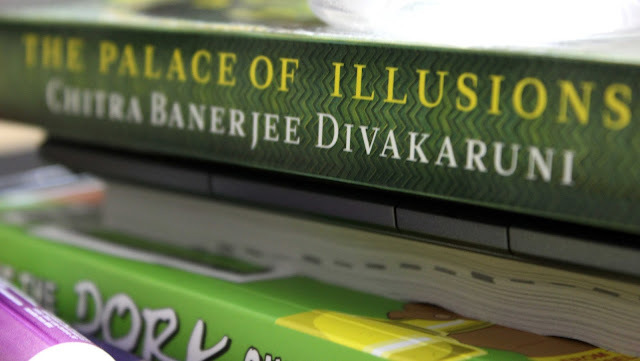 The Palace Of Illusions by Chitra Banerjee Divakaruni PDF Download - GOOGLE BOOK Free eBooks for Life! The Palace of Illusions is an award winning novel penned by famous novelist Chitra Banerjee Divakaruni. The book is a rendition of the Hindu Epic Mahabharata from Draupadi's (Panchaali's) point of view. Writer elaborates the Mahabharata with modern twist as it narrates the story from the perspective of Draupadi. The story takes us to a world that includes half-history, half-myth and full magic. The novel is a completely human novel about a woman born in this patriarchal society, the world full of agony and the ever manipulating hands of destiny. The story reflects the facts about Draupadi’s life, like born from agni or fire of yagna, friendless childhood, where her adorable brother is her only true friend; her complex friendship with the mysterious Krishna; to marriage, maternity and her secret attraction to the undisclosed man who is her husbands' most dangerous opponent. Chitra Banerjee Divakaruni is famous as an Indian-American author, poet. She is also the Betty and Gene McDavid Professor of Writing at the University of Houston Creative Writing Program. She was awarded for her great collection of the short story ‘Arranged Marriage’. She got many awards for her outstanding creation of books and many been adapted for movies or TV serials.